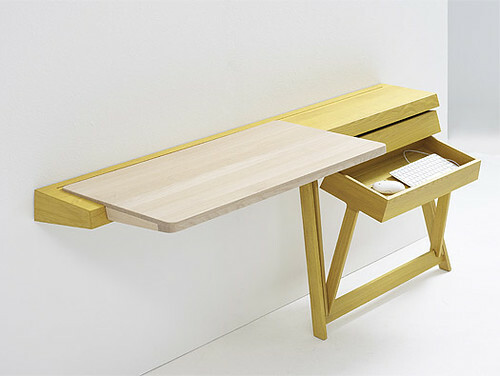 An interesting wall mounted desk designed by Shay Alkalay. I like the drawer like storage trays. They nest, and tilt out to reveal their contents.